CELEBRATE your incoming Club Presidents. NEW educational topics requested by local Rotarians! MOTIVATE new AND experienced Rotarians! 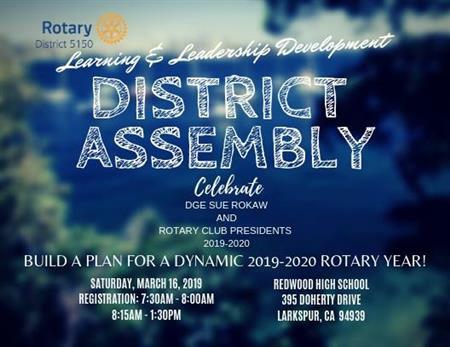 BUILD a plan for a dynamic 2019-2020 Rotary year! Keep on the lookout for more updates coming soon! Keynote speakers, breakout sessions and bonus sessions including Youth Protection Training. (Facebook RSVPs do not count).